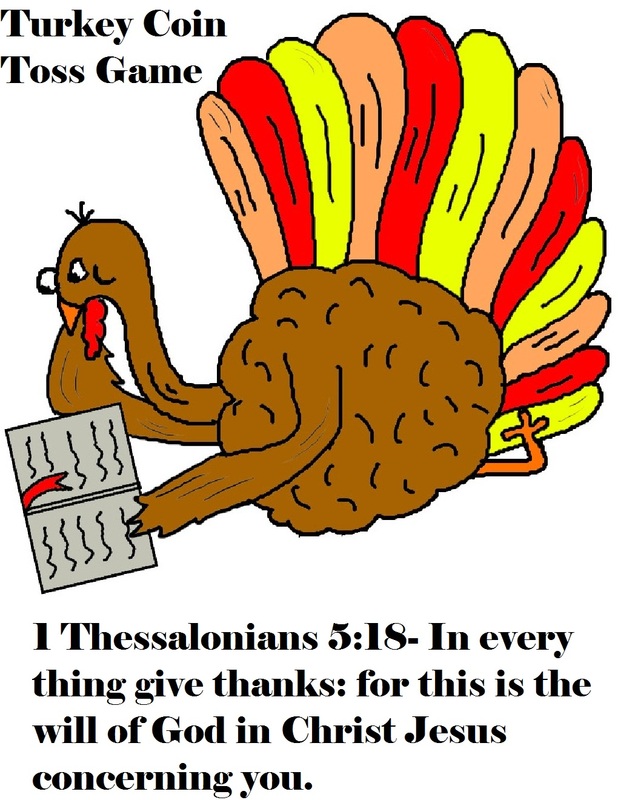 Just print out the Turkey Reading Bible Template and tape to the middle of the board. Staple a small clear plastic cup to the top middle of the board. Fill with some feathers. This is so when you toss the coin in the cup it won't bounce out. Tape colored feathers all over the board. Tape 6 feathers to the back top of the board so they are standing straight up. Have the kids line up and take turns trying to toss the coin into the cup. Each kid gets 3 tries. If the child gets the coin in they get a prize. Give each child a sucker for trying.